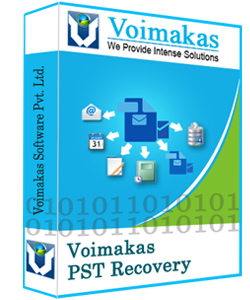 Voimakas Outlook PST Recovery is a software that recover emails from corrupted PST file save them into new PST files or existing PST file with whole emails items and attachments and also recovers deleted Outlook emails items without any data defeat. Work for Outlook PST Recovery? Learning about Outlook PST Recovery? Ease of use, fast recovery, create multiple pst's , can be done on your own without IT knowledge. Google Cloud Platform provides resource containers such as organizations, folders, and projects, that allow users to group and hierarchically organize other Cloud Platform resources. The easiest way to make your Internet safer, faster and more reliable. GlobalProtect delivers the protection of next-generation security platform to the mobile workforce in order to stop targeted cyberattacks, evasive application traffic, phishing, malicious websites, command-and-control traffic, and known and unknown threats. 360 Total Security offers your PC complete protection from Viruses, Trojans and other emerging threats. Whether you are shopping online, downloading files or chatting with your friends you can be sure that 360 Total Security is there to keep you safe and your computer optimized. * We monitor all Outlook PST Recovery reviews to prevent fraudulent reviews and keep review quality high. We do not post reviews by company employees or direct competitors. Validated reviews require the user to submit a screenshot of the product containing their user ID, in order to verify a user is an actual user of the product. Hi there! Are you looking to implement a solution like Outlook PST Recovery?